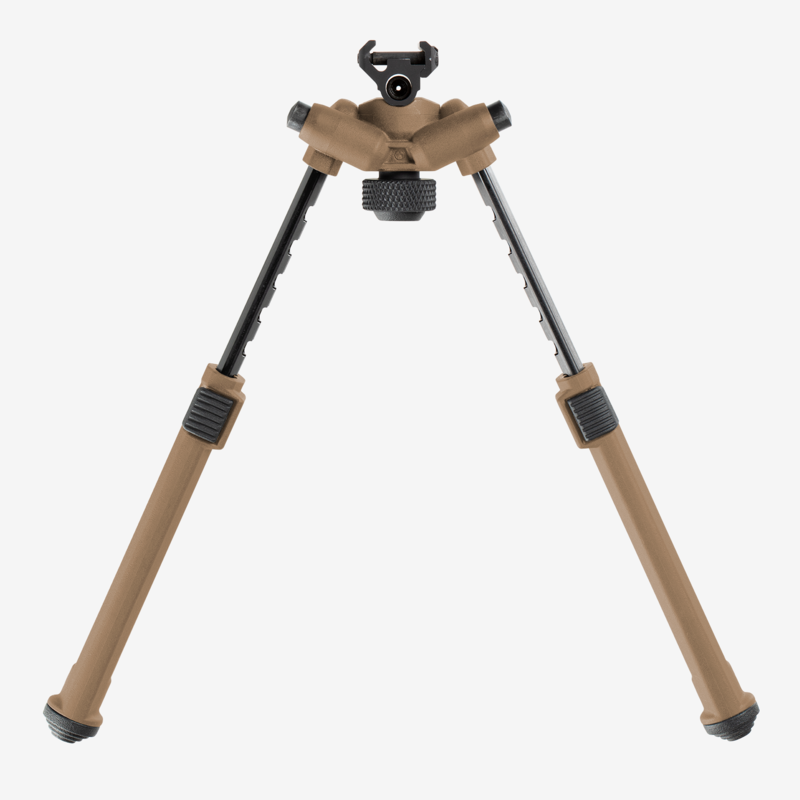 Deploying and adjusting the Magpul Bipod is quick and easy. Spring-tensioned legs stow neatly forward and snap down and lock into place with one hand. Leg extensions slide and lock securely with the push of a button on any of the seven half-inch spaced locking detents. The legs extend a full four inches, from 6.3Ã¢€Å¥ to 10.3Ã¢€Å¥. 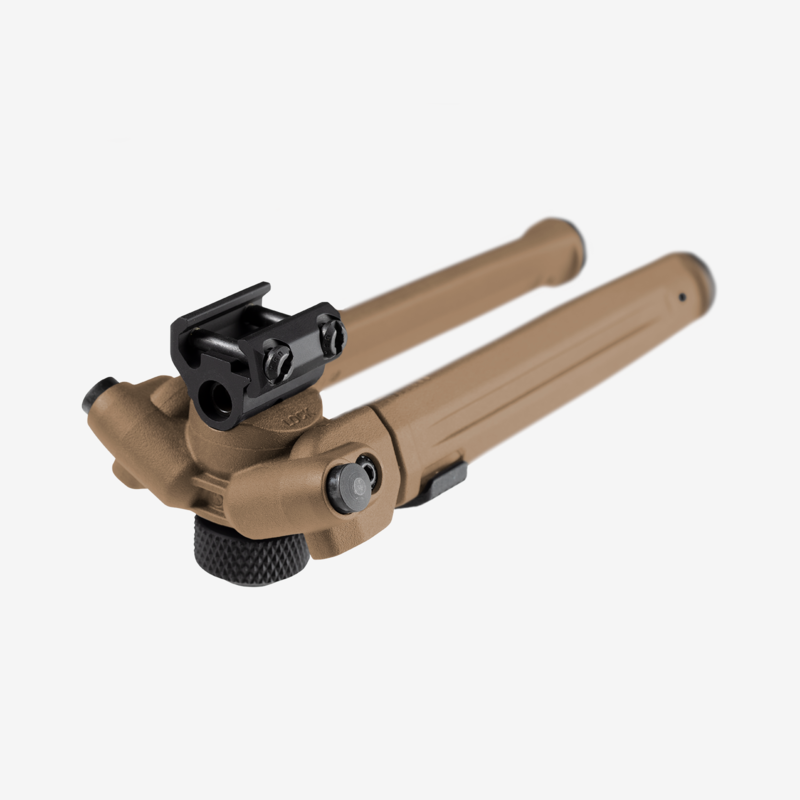 An industry-exclusive 50Ã‚Â° of total tilt and 40Ã‚Â° of total pan are controlled by a glove-friendly knurled tool-less bipod locking knob located between the extended legs, allowing easy adjustment between shots. 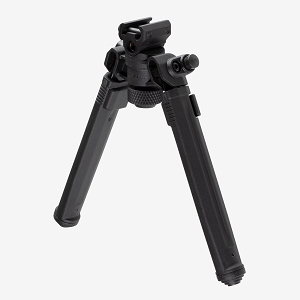 Additionally, the Magpul Bipod has the exclusive ability to lock pan at 0Ã‚Â° while maintaining full tilt functionality. From the drawing board, the Magpul Bipod was designed to be barely noticed until needed. Folded, the streamlined housing and legs fit neatly under the barrel and are just under 2.3Ã¢€Å¥ deep and 3.3Ã¢€Å¥ wide. In addition, anodized surfaces and tight, precision tolerances mitigate squeaks and rattles. 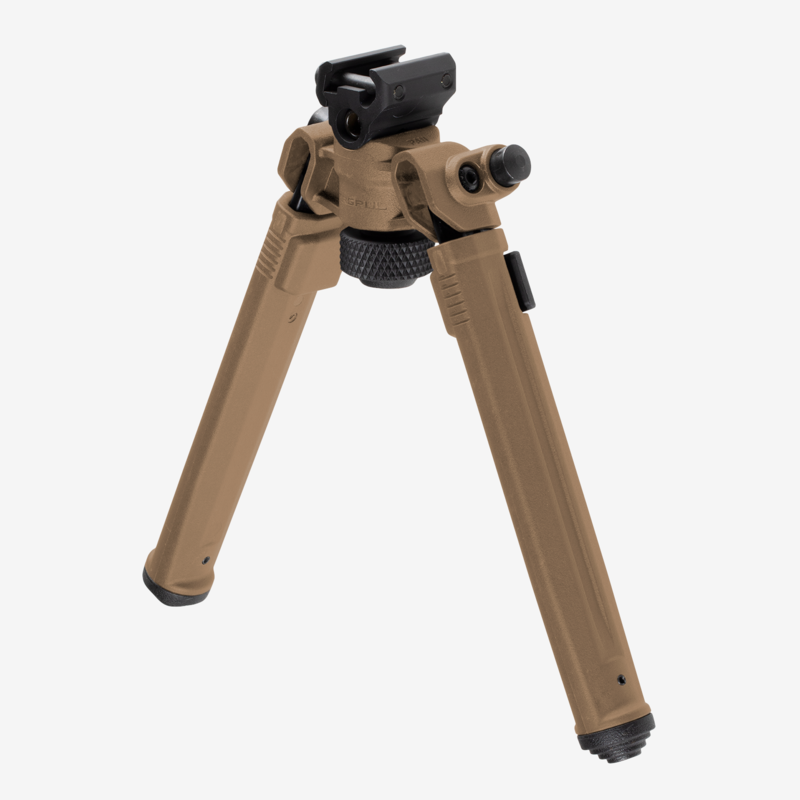 The Magpul Bipod has many features that are also useful even when it is in the stowed position. 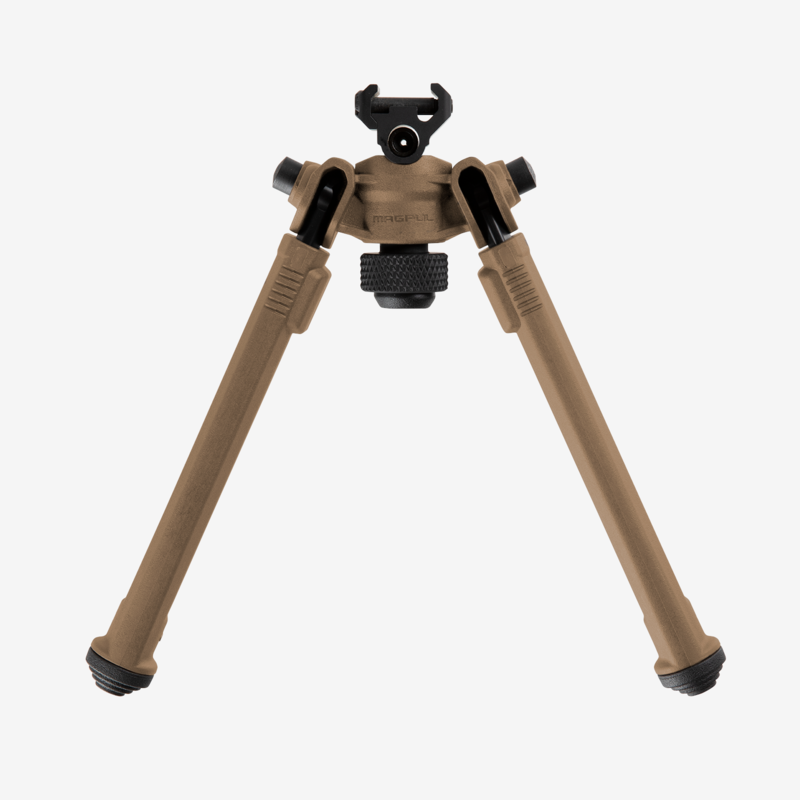 A soft rubber bipod locking knob cap is attached to the locking knob gives users a steady, non-marring forward rest while the bipod is folded. Additionally, its staggered soft rubber feet hold fast on a variety of shooting surfaces and are easily removed with a roll pin punch. Should users choose to change feet, the Magpul BipodÃ¢€â„¢s legs accept most Atlas pattern bipod replaceable feet, except for the Atlas 5-H style.